Man found down, with way too much alcohol in the system. 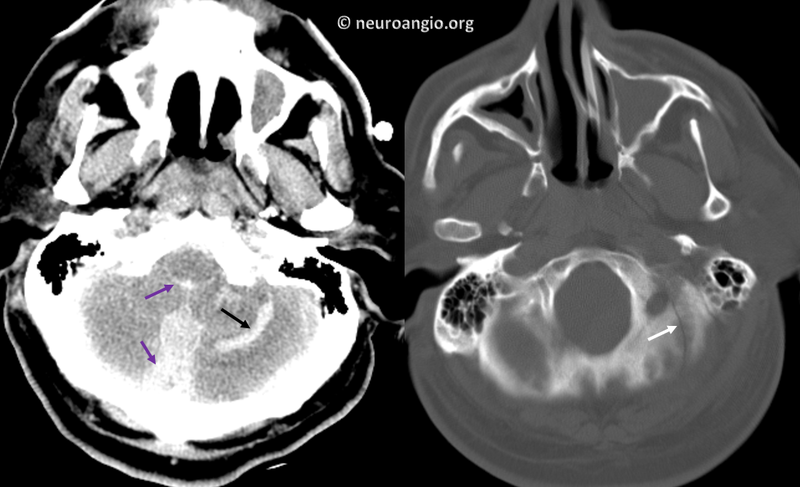 CT scan reveals left occipital base fracture (white arrow), with adjacent parenchymal hematoma (black) and all kinds of other hemorrhages (purple arrows). It is not altogether clear whether the associated subarachnoid, subdural, and intraventricular blood is related to this fracture or other foci of trauma. The parenchymal hematoma certainly is. 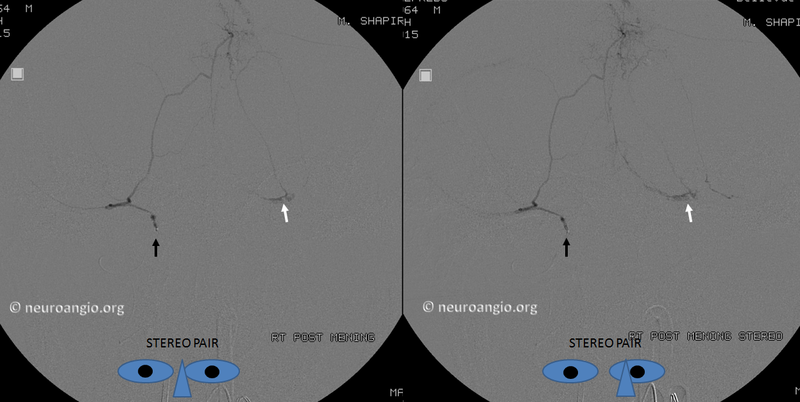 Stereo pair of dedicated posterior meningeal artery injection, with the catheter shown by black arrow, and fistula by white one. The fistula decompresses into the occipital sinus, as seen from its medial course. 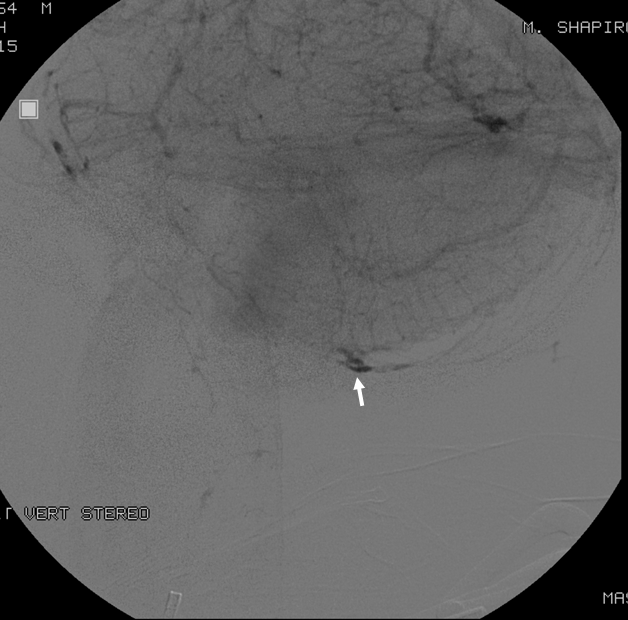 A very proximal embolization was performed due to inability to advance the microcatheter thru the tortuous proximal posterior meningeal… The patient died from complications of injuries before another angiogram could be obtained to assure durable closure.